We have 1 registered suppliers in this City ..! We offer spacious and comfortable rooms equipped with all the services, so you can enjoy a super quiet rest and an incredible view. 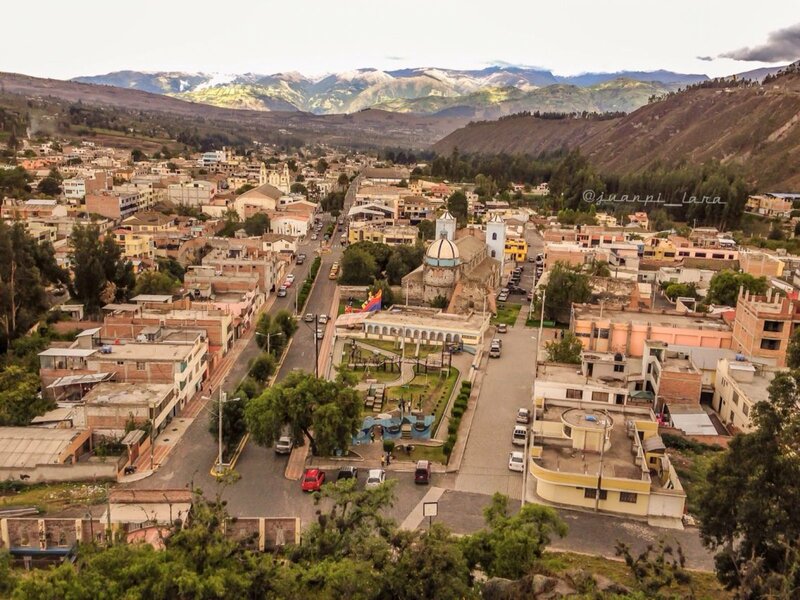 Located north of Riobamba, on the banks of the river of the same name that breaks the plain of Tapi, in the foothills of the Igualata, occupies territories that belonged to the Puruhá nation, whose courageous Toca cacique, defeated by Tupac-Yupanqui, was taken as hostage to Cuzco where he died. During the colony it achieved a great development due to the industriousness of its inhabitants - skilled artisans who acquired a well-deserved reputation for the manufacture of beautifully colored "wipes", which is why it was cantonized according to the Territorial Division of Colombia Law. June 25, 1824 issued by General Francisco de Paula Santander. The average temperature is 17 ° C. There is diversity of climatic floors, from the valley to the highest mountain snow. For this reason, there is vegetation of all kinds, including that of the páramos. It is located in a valley that at one time should have been green and full of life, but that today can be observed a large deforestation, and empty and dry spaces. It is predominant in this valley a shrub, herbaceous and lesser arboreal vegetation. It is very likely to admire one of the plants that withstand the cold one of them is the spiny chupalla that is characteristic of these cold and mysterious landscapes of the moor of Chimborazo. We can find lots of reeds, algae, small amphibians, which serve as food for the species of ducks, ducks and other birds that inhabit the canton. It is possible to observe other species such as: herons, sheep, great diversity of birds, and colorful fish, guanta, guatusa, squirrel, swallow, cacique, hummingbird, tick, tanager tile, sparrowhawk, parrots, macaws, mountain turkey, buzzards, among others. Several of these animals can be caressed as long as you are careful. The gastronomy of the Guano canton is very varied and one of the reasons why people also visit it, and it is to taste the delights of the culinary art that is prepared here. Among the most popular dishes are fry, chorizo, chicha huevona, cholas, purple drink with guaguas, bread, shampoos with muffins, guinea pig and roasted rabbit, gut mishqui (Chinchulines, among others. Expensive stores are located in the vicinity of Central Park, although they also exist in different neighborhoods and sectors of the canton. Guano Cholas: These are rolls, made with wheat flour, panela and other ingredients that are the delight of the palate. Nobody who goes to Guano can stay without savoring them. Dulce de leche: It is made with milk, sugar and vanilla essence. The original sweet is made with cow's milk. Chorizo: Accompanied by mote, cooked potatoes, lettuce, onion, tomato, toasted and chili ground in stone. As an ancestral drink the chicha huevona (which consists of chicha de jora, mixed with eggs, sugar and beer). Destination located in the center of Guano forming part of the Quinta Aidita, the exhibition of the animals not only allows Tursitas to know about the species but also serves as a distraction and above all to teach to face the real problem of extinction of the different species. The place supporting the cause against the extinction of animals has a shelter where animals that have been recovered by the environmental authority, are in rehabilitation and thus can put their grain of sand against the illegal trafficking of animals. Each of these sections are in appropriate conditions to provide the animals the greatest comfort possible so that in this way they resemble the place with their natural habitat and so they can adapt in the future without difficulty. Around this beautiful lagoon there is a pine forest where shrubby vegetation stands out, giving the place a perfect natural environment to spend a moment of tranquility in contact with nature. Location: Located at 200 m. to the left of the road in the Guano - Riobamba direction. You can recognize the place by its vegetative and faunistic variety. Diameter: Approximately 300 meters long and 200 meters wide. The House of Fernando here you can find the best in gastronomy of the place and you can also practice sport fishing and boat ride. The zoo of Guano this zoo is part of the fifth Aidita in the place you can enjoy a perfect display of animals. Located next to the Ruins of the Monastery of the Assumption and also of the Children's Park El Rosario, this museum was inaugurated in February 2006 with an agreement between the Municipality of Guano and the National Institute of Cultural Heritage. They were the ones who carried out the modifications and also the elaboration of the sections of the place, also the restoration of the mummy, the same that in unicio this located in the Municipal Library. Section 1: Introduction here everything related to the environment is exhibited. Section 2: Ethnic Lordships - In the place there are some earthen pots and also ceramics. It is said that these instruments were from the period 400 to 500 AD. approximately, years of war. These wonders belonged to the Puruhá and Tuncahuán cultures. Section 5: There are pictures painted on canvas, and the most important tourist attraction of the museum and Guano, the Mummy of which is suspected to be the body of Fray Lázaro de Santofimia, a Franciscan missionary, who was restored in 2005 and nowadays it is in an airtight glass case, next to the skeleton of a mouse. It is said that the Ruins of the Monastery of the Assumption, are part of the first Franciscan Church built in the parish of Guano. It is located 300 meters from the central park of Guano and is considered a natural tourist viewpoint from where since its splendor you can see the snowy Chimborazo, Carihuayrazo, Tungurahua, El Altar and Cubilines. Church of the Monastery It is the church that is in the front of the ruins being this the modern church of the place. Grotto of the Virgin of Lourdes It is located at the top of the hill and is recognized by the parishioners as the Viacrusis, where it is arrived to request or to thank for all the good things. Molitos y Petroglifos On the hill of LLishi there are 3 monoliths, this can be described as figures made with stones, these are carved by hand using the picador as tools by the artist Luis Felipe Reinoso de Guano around the decade of 1940, These figures represent the face of the Inca. Guano on the date of February came to inaugurate this parish church. The temple is confirmed as the first church in Ecuador dedicated to Saint Therese of the Child Jesus. The work was carried out by the lawyer from Rio de Janeiro, Dr. Rafael Ballejo Goribar, and he donated the land to build this chapel. The religious festival in honor of Santa Tereista is celebrated on October 3. Historically it can be known that the church was elaborated and worked with lime to be covered with tiles, its walls are made of stone using as an instrument the mortar of sand and lime, and the façade is of carved stone. The ruins of this place belong to the late sixteenth century. This church is considered a religious work destined to evangelize the indigenous peoples of Penipe, Llapo, Cubijies, Guanando, and Guano, doctrines that are under the Franciscan order. Then there is a monastery and a cemetery. Near the place you can visit the Ruins of the Monastery of the Assumption. Guano is a town with great depth in the religious sphere, that is why each of the neighborhoods that make up this parish honors its patron reprensentandolo in the different images of the Virgin, Jesus or some saint. It can be said that on the part of the guaneños the immaculate Virgin is venerated in the neighborhood and church of the same name and is professed with great devotion and faith. The parishioners from different parts of Ecuador come every year to celebrate this religious festival every December 8th. This great celebration is attached to the traditions and is thus recognized for highlighting the religious aspect by incorporating a series of events into its celebration, thus contributing to the enjoyment and diversion of its own.